Hi. Welcome to my website and thanks for visiting! I’m new to the whole website construction thing, so I apologise for any weirdness you may encounter browsing around. Please bear with me over the next few months as I add content and sort stuff out. Hope you find something here that interests you. And here’s a gratuitous radiograph of a pregnant turtle to get you started. My five year old son is completely obsessed with LEGO. The other day he presented me with this. What can I say? At least it’s an improvement on the truck he made to carry around disarticulated heads. 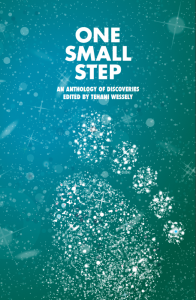 I was pretty excited when the people at Starship Sofa contacted me at the beginning of last year and asked if they could use my story ‘Always Greener’ from One Small Step (Fablecroft Publishing) on their show. Then nothing happened for a while and I figured they’d probably changed their minds. Then in November, there it was. Not that I noticed for about a month! You can download it for free from the itunes store too.